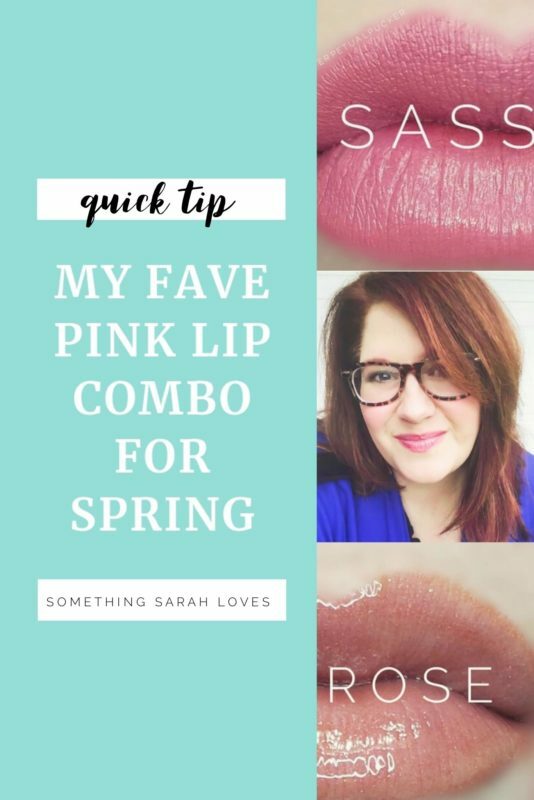 Let’s Talk Spring Pink Lips! This combo is becoming an every day favorite. Creamy, matte pink Sassy Z, topped with a slightly shimmery peachy pink Primrose gloss makes the most beautiful every day spring pink. I can attest that everyone I have seen this combo on looks amazing. This is a true neutral pink. This means it doesn’t wear too cool, or too warm on most lips. I think this gives just the tiniest of pop to your pout, without overwhelming your face with color. If you are new to LipSense.. it is a patented, nothing else like it lip color that molecularly bonds to your lips. It applies in 3 layers, letting each one dry in between, and then is topped with a shea butter and vitamin E gloss that permeates the color to intensely hydrate your lips. And the kicker is that it lasts 4-18 hours. The more you use it, the longer wear you will get. I researched various lead free lipsticks, and found LipSense all by myself. Yes, it is part of a direct sales organization, but no one sold me on it. The research did! As always, feel free to ask me anything! As in, Pantone’s Color of the year. I mean, honestly, I don’t reallllly pay that much attention to what each year’s colors are. It just that this year’s top pick happens to be one of my ALL TIME FAVORITE COLORS. You know what though… I think we naturally gravitate towards colors that make us feel good, or brightens our skin, or makes our eyes pop. We may not even KNOW that we do this, but I’ve been noticing this around me in the colors people choose to wear. Even black. Because… even IF black is your favorite color, on lots of people, it does make everything just POP. Back to CORAL, though. 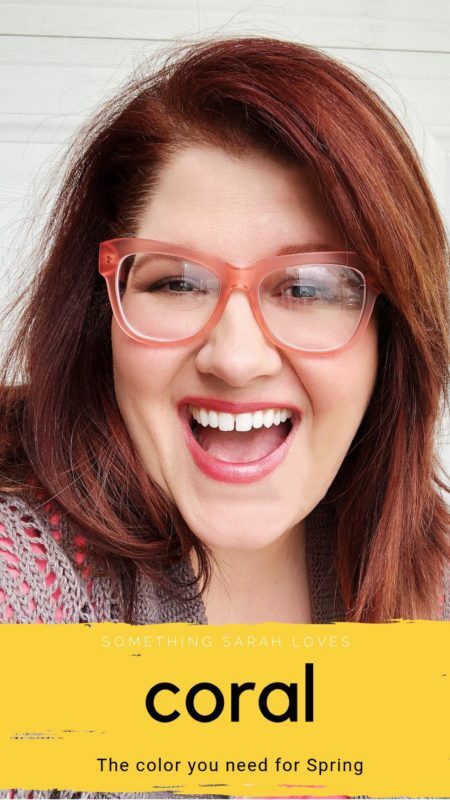 Samon LipSense is my ride or die shade for Spring. It just feels like a pretty pop of pink and red and orange, and this shade just so happens to help my teeth look brighter, and give my skin a peaches and cream look. WINNING. I’ve said it before, and I’ll say it again.. if your lip color isn’t doing that for your face. YOU ARE WEARING THE WRONG SHADE. Lip color should make you feel good, pretty, bold, confident. You should not be letting the lip color wear you! I’ll stop ranting, but please know.. I am here to help. And if bold lip color isn’t your thing, that is A-OK! Peep my video below to see how I tone down a brighter lip to a more wearable shade. I’m pretty vocal on my insta, or my facebook page about how important I believe fighting for marriage is. Todd and I celebrate 21 years of marriage today. And if you have been around me for any length of time, you will know that I am real about the hardships we have faced. 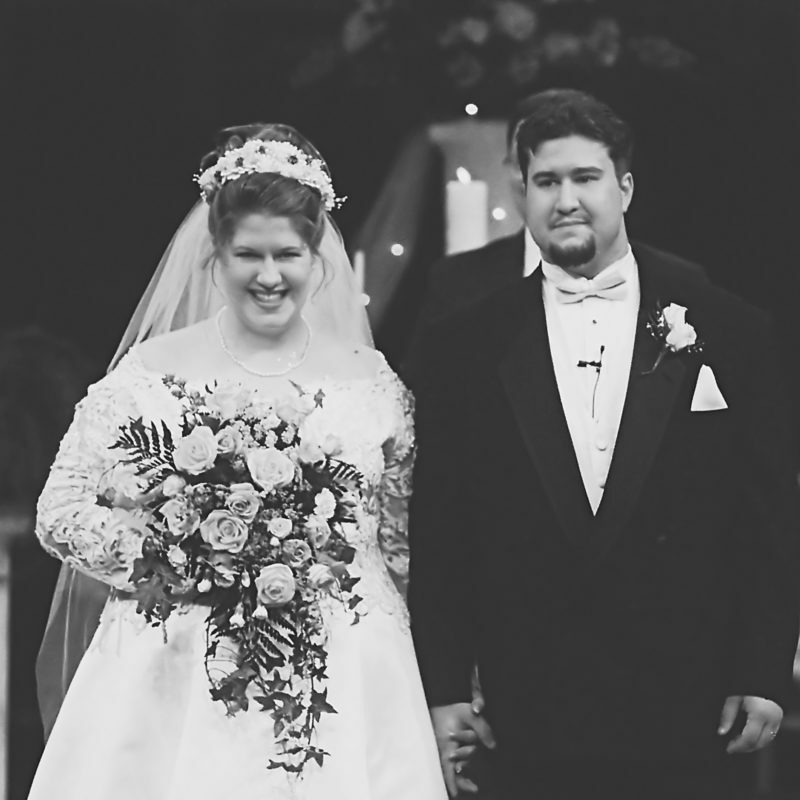 It has not been 21 years of wedded bliss. We have had some INCREDIBLE, miraculous moments together. We have faced some INCREDIBLE, hard fought health battles together. We have had some INCREDIBLE highs and lows. We have had INCREDIBLE laughter, and tears of sadness. We have two INCREDIBLE children on earth, and 1 in heaven. We have served at, and planted INCREDIBLE churches over the years. Has it been perfect, storybook, fairytale, whirlwind? Nope. But it has been and still will continue to be INCREDIBLE, because we both have committed to never giving up. Let’s Talk Brows! 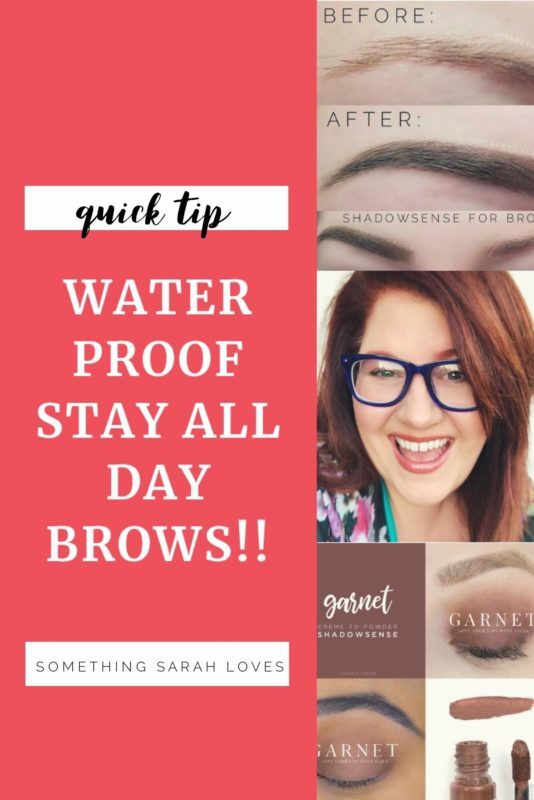 Waterproof, stay all day brows. I am a no fuss makeup kind of gal. I don’t have the time or patience to do elaborate makeup looks. Props to the ladies that can and do! It’s just not me. That being said, you won’t find me with detailed, precisely drawn on eyebrows. It just wouldn’t fit with my whole vibe. And I’m ok with that. I’ve tried some brow gel from the drugstore.. a number of different brands, but my brows always were crunchy, and flaky. And I’ve tried the high end brow powders and gels, and I always felt like it made my skin underneath my brows look muddy. As I explain in the video below, I don’t think it’s the powder’s fault. I have really fair skin and some things like bronzers and brow powder just don’t play well with my pasty white skin.. ya feel? I’ve been using our mascara as brow gel for a little while, and I love the concept, but the color is just a taaaad too dark. I went full redhead back in the fall, and I discovered that Garnet ShadowSense (my favorite ShadowSense for a smokey brown eye look in one step) makes the perfect brow cream to powder to go with my hair! You’ll have to watch the video below to see how I apply it, but this makes quick work of taming my sparse brow hairs, while filling in the color a bit to make them stand out and match my hair. Because it starts out as a cream, I am able to just coat my brow hairs and not get any on my skin to muddy it up. It then dries to a waterproof powder and stays all day. Perfection! Shoot.. if I didn’t wash them off before bed, they would still be on the next morning. Lol. Have you tried ShadowSense for your brows?? As always, let me know if you have any questions! 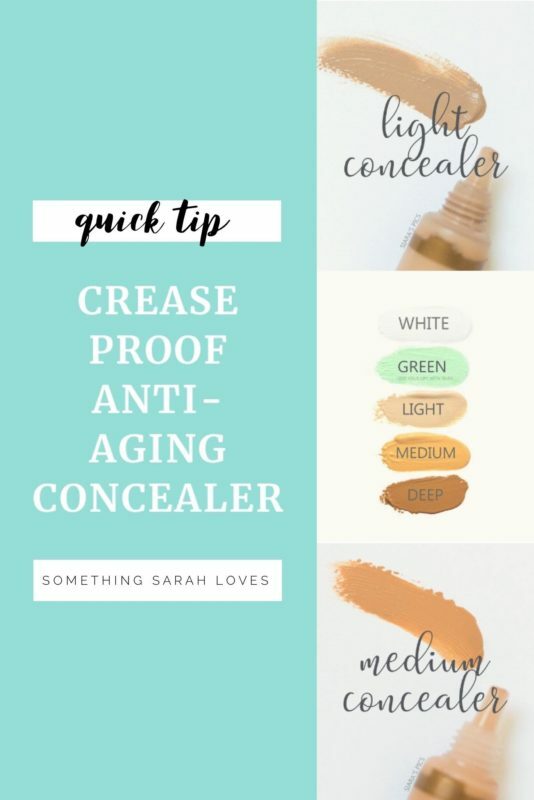 Let’s talk Concealer! Crease proof, budge proof concealer, that is! Our creamy SenseCosmetics® Corrective Color Concealers with SenePlex® are the perfect answer to any skin imperfection. They can be used to color correct changes in pigmentation, blur fine lines, disguise broken capillaries, and to minimize deep shadows and/ or bruising. I love using White Concealer/Blender to lighten any creamy shade of SenseCosmetics, like Cherry BlushSense. It turns it into the most luscious creamy pink cheek tint. Or on top of MakeSense Foundation as a highlighter/optical brightener. Laminaria Digitata Extract: Algae extract. Hydrates, protects skin from the sun, and softens the skin. It is essential in the penetration of the top layer of the stratum corneum and enhances the skin’s ability to repair itself. .
Here’s a quick video of two ways to apply it, with the warmth of your fingers, or with my favorite under eye concealer brush from Real Techniques.